This page contains answers to various queries of people about different aspects of astrology, spirituality and devotion practices. From time to time in my interaction with clients, many queries are asked and in this page I have taken some questions which are commonly asked. 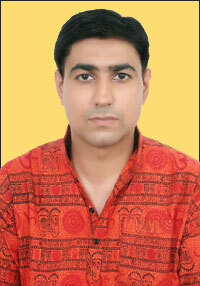 In addition I would also share useful Lal Kitab Astrology remedies for the benefit of all associated with us. Today I would like to dwell on significance of offering water to Sun. During my interactions with my clients, I have seen that they are not aware of the significance of offering water to sun. They think that it is only a ritual and we should carry out just for improving the benefits of Planet Sun in our horoscope. There are thousands of rituals which were followed by our ancestors and they have practical significance also which is lost when we go on repeating rituals without understanding the logic behind them. Offering water to Sun has both astrological and scientific significance. In this post I would like to explain both along with the right method of offering water to Sun. If we look at our Vedas, Rigveda says, that it is sun that wakes one up from sleep. It is due to the Sun that all can work and are active. Vedic Sciptures see Sun as the very embodiment of all Gods. He is self-luminous and sustains all with His rays. He nourishes and energizes the inhabitants of all the worlds as well as the host of Gods and demons by his Rays. Astrology is based on light and all colors represent a particular planet. Human being is made up of five elements as Water, Air, Ether, Earth and Fire. Every planet in our horoscope represents a relation. A person with a weak Sun or afflicted Sun might have not warm relations with father or he might have lost him also. He will not receive favors from government and may have problems in bones also. For such persons, It is a recommended Vedic remedy to offer water to rising Sun. More remedies in such case are also suggested looking at peculiar combination of horoscope, dasha and other divisional charts. Scientifically, when we offer water to rising Sun, we see sun from the falling drops of water and it improves our eye sight. Various Ayurveda texts see Sun as the significator of eyes. Hence offering water to sun would improve eyesight also as rays are divided into seven colors and benefit person doing it. It is recommended in the water offering ritual to keep the vessel above chest. When these refracted lights enters human body. The surface area of our chest is highest in human body, so chest can absorb maximum refracted light. It is important to know the right method and time to offer water to Sun. Vedic scriptures and Purana says that water should be offered to Sun while looking at east in morning and looking at west in evening. In my opinion, ideal time to offer water to Sun is within one hour of Sun rise. Take a copper vessel and fill it with water. You can add either sugar or honey to it. If possible you can also add red sandal, kumkum and red flowers to it. Now you should go outside where you can see the Sun. In case it is cloudy and you are not able to see the Sun, you can still do it by looking towards east direction assuming Sun God is present there. Now straighten your hands and take the vessel towards Sun and start pouring the water slowly. Look at the rays of Sun through the stream of water from the vessel. Start reciting the mantra when you start pouring the water "Om Ghrinih Surya Aditya". After this touch the water which is spread on earth with your right hand fingers and touch those fingers on your forehead. Now make them wet again by touching the water and then touch them on both eyes and lastly on your throat. You should avoid putting your feet in the water spread on earth while leaving. Salutations to the Lord, who creates heat by his brilliant rays. He alone creates, sustains and destroys all that has come into being. Salutations to Him who by His rays consumes the waters, heats them up and sends them down as rain again. There are other numerous benefits and significance of offering water to Sun which I am not able to discuss here due to space constraints. I would recommend you to offer water to Sun especially on Sunday with full devotion. You will get immense benefits and if you still have any problem with your horoscope you can book a consultation by visiting our website lalkitabastro.com. Why do we ring bells while entering in a Temple? Today I would like to deal with this question as to why do we ring bells while entering in temple or inner sanctum. Many people do not really know the reason for undertaking various rituals in temples and instead go on following them blindly without understanding their true significance. Many of the rituals have scientific significance with deep spiritual meanings. If you carry out such rituals without understanding the logic behind them, they become a mechanical task which you go on doing without any real benefit. Normally bells are found at the entry of temple or before the inner sanctum. Some people think they are hanged for waking up Lord but Lord never sleeps. In my opinion, bells are meant to be used for waking ourselves because we do all our acts in sleep. Going to temple is an act which is done by us mechanically as a part of our routine. We went to temple, offer our prayers and come back and there is no change in our life. We do not feel blessed when we visit a temple. A few days back I was talking to a temple priest to whom I asked why you have hanged bells in the temple. He said that bells are hanged so that whenever one visits the temple or inner sanctum, he should ring bell to indicate to Lord that he has come. I told him that God knows everything and He is not sleeping which requires ringing of bell to wake Him. The priest of the temple then asked me then why do we ring the bell. I explained some of the reasons behind ringing of bell in temple to him. I am sharing them with you also with the hope that next time you will enter the temple fully conscious and aware of the logic behind ringing of bell in the temple. If this happens, you will be able to feel the real benefit of this ritual that was visualized by our ancient peers and scriptures. A temple bell is not an ordinary metal. It is made of a mixture of various metals like Cadmium, Copper, Zinc, Nickel, Lead, Chromium, and Manganese. Making a bell using a combination of these metals is not enough. The real science lies in the percentage at which of each of these metals is used in making the bell. These bells are made in such a way that when they produce a sound it creates a unity in the Left and Right parts of our brain. The moment we ring the bell, it produces a sharp and lasting sound which lasts for minimum of seven seconds in echo mode. The duration of echo is good enough to activate all our seven healing centres of our body which are known as seven chakras. The ultimate result of this sound is that it increases our awareness, wakes us and empties our brain from all our thoughts and helps us in entering a very sharp state where we can have good level of concentration. You must have seen that even while doing the ritualistic Aarti, we continuously ring bell. It is sometimes accompanied by the auspicious sounds of the conch and other musical instruments. An added significance of ringing the bell, conch and other instruments is that they help drown any inauspicious or irrelevant noises and comments that might disturb or distract the worshippers in their devotional enthusiasm, concentration and inner peace. There are many other legendary stories associated with ringing of bells and their benefit for devotees that I am not able to share here due to space constraint but the basic goal of ringing bell while entering temple is one, i.e. to wake your wandering mind, to invoke grace of deity to help you in concentrating on worship. Mala denote a “garland of beads” which is used for counting the mantra repetitions in mediation. It is also known as Japa Mala and the process of repeating mantra is called “Japa”. A Japa Mala consists of 108 beads plus 1 (for guru bead) with a knot between the beads. The number 108 has several meanings and interpretations. For years it has been considered a sacred number in many religions and in yoga also. Today I am going to discuss the significance of 108 beads in a mala. There are many thinkers who have tried to explain the reason for having 108 beads in a mala in different ways and their explanation range from attributing it to 27 constellations and 4 padas (parts) of each constellation thus deriving number 108 (27x4) or there are 12 zodiac houses and 9 planets which guides us to arriving at number 108 (12x9). Some says there are 108 upanishads while some say there are 54 letters in the Sanskrit alphabet. Each has masculine and feminine, Shiva and Shakti (54x2=108). For me, 108 beads represent the entire universe. This is due to the reason that 108 is a multiple of number 9 and when you total the numbers in 108 it comes to 9 (1+0+8=9). 9 is a mystic number. The number 108 is derived from number 9. The universe consists of three factors, time, space and causation. There are three gunas prevalent in universe known as sattva, rajas and tamas. The universe is constituted of the three functions - creation, preservation and destruction. If we total all these components, we come to derivation of 9 which is also attained when we total all the numbers in 108. Number 9 is a universal number and signifies completion and salvation. All the multiples of number 9 add up to 9 when each digit is separately added. This shows yet another characteristic of Number 9. Number 9 is the number that has the potential to absorb everything. All vices and good deeds are absorbed in it. Having 108 beads in mala shows the number of techniques of meditation available with a devotee. These 108 beads representing techniques of mediation represent an essential part of the entire universe. Whenever we count these beads, we are remembering the presence of deity who is the Universal self in every part of the universe and by each cycle of repetition, we are covering the entire universe through feeling and touching the presence of deity of the mantra in it. The 109th bead is knotted to the mala which is known by different names like Sumeru Bead, Meru Bead or Guru Bead. This bead is never crossed when doing the mantras using mala. Instead the mala is turned around so that the next round of counting starts with 108th bead. This bead symbolizes that Master is the force beyond the universe and is crucial in attaining spiritual objectives of the student. If we interpret number 108 from a numerological perspective, number 1 represents Sun which is the symbolism of start of the day, i.e. birth and number 8 represents Saturn which is the symbolism of sunset, i.e. death and number 0 is infinity which is the universal self that does not change with life or birth. The ultimate goal of human life for which we have attained human body is to come out of this cycle of birth and death. By contemplating the mantra of our deity through using mala, we try to associate our self with the universal force which is eternal, unchanging and which can help us in getting out of this cyclical nature of birth and death. What String and Knot of Mala denote? The string of the mala is symbolic of whole Universe which is manifested by God. It holds and supports the beads which show that there is an invisible force that supports or sustains every part and every being of the universe. The circular arrangement of beads in the mala is a representation of cyclical nature of universe without an end or a beginning. In this cyclical nature of birth and death, the universal self is the only unchanging principle. If you have seen a rudraksha or any other mala, you must have noticed that a knot is kept between the beads. There is a scientific reason for this also. Knot is kept between the beads to ensure that they should not touch each other so as to avoid the distraction that may be caused due to frictional sound of bead during meditation. Knot signifies the divine link present between all beings of this universe. It reminds us that all of us are strung in the thread of the Universal Self like the beads are strung by thread in the mala. There are many different types of mala that are used for different deities. For example, for worshipping Lord Vishnu, use of Tulsi (holy basil) mala is recommended. For Maa Lakshmi, lotus seed mala/sphatik (crystal) mala is recommended. For worshipping Maa Durga, Red Sandalwood mala is recommended. For worshipping Lord Shiva, Rudraksha mala is recommended. In my opinion, Rudraksha mala is best to do mantra chanting for any deity. An important aspect is that this mala should be properly energized and then it would enhance its effects many times. There are many people who use to wear the same mala which they are using for meditation purpose. This should not be done due to the reason that spiritual energy is stored in the mala when we chant mantras or meditate using this mala. So if you want to wear mala also, then you should have one separate mala which is used for wearing only. It is also important that you should not exchange the mala you wear or use for mantras with anyone else because when you use a mala, a special bonding gets developed between you and your mala. It carries your positive aura and that is why it should not be shared with anyone. When you are not using mala, keep it inside a cloth bag at a sacred place to show respect and gratitude towards the mala as it is going to be a guiding force in your spiritual journey. You can contact us for getting all types of energized mala. Why Sindoor (Vermilion) is applied by married women? Sindoor is being applied by Indian women since Vedic era in their hair parting and on the forehead. Sindoor is being used by the Indian women in their hair-parting and as a dot on the forehead. Sindoor is one of the 16 adornments in Hinduism. Aside from this it is also being applied by the men in the form of Tilak on their forehead. Indian Sindoor is a red color powder. It is also called as Kumkum when it is mixed with turmeric. According to Hindu astrology, Mesha Rashi or the House of Aries is on the forehead. The Lord of Mesha is Mars and its color is red. It is believed to be auspicious. This is why red sindoor is applied at the forehead and at the parting of the hair. Both are signs of saubhagya (good fortune). Sindoor is also considered to be the symbol of the female energy of Parvati and Sati. Marriage is a sacred institution which marks the beginning of a new life for the bride and the groom. There are many rituals performed during the marriage ceremonies and each ritual has its own importance. But the most important custom of every Hindu wedding is Sindoor Dana. Here the groom puts sindoor (red vermilion powder) in his bride hair partition thus symbolizing her marital status. In some communities it is the grooms mother who does this part to welcome the bride in their family. Putting sindoor is not just a ritual but signifies a long life for the husband. But this is just one aspect of it. So let me tell you more about this important practice from a scientific perspective. In Hindu religion married women have been applying sindoor in hair parting since ages. There are scientific reasons behind this belief. The parting line of a woman hair where sindoor is applied, there lies the most important spot the spiritual center called Brahmarandhra an aperture in the crown of head. This astral aperture is very sensitive and said to be the gateway to the absolute extending from perineum to the crown of the head. It is the place where parting is drawn and sindoor is applied. Sindoor contains mercury in it which is the only metal found in liquid form. When sindoor is applied in the hair-parting mercury present in it acts as a medicine because it is known for removing stress and strain and keeps the brain alert and active also. The custom of filling sindoor in the hair parting is followed only after marriage because as soon as nuptial knot is tied the free spirited girl suddenly gets transformed into a responsible wife and a daughter-in-law who has to take care of everybody present in her new home. Thus under such responsibilities she sometimes gets pressurized. The mercury in the sindoor helps in cooling her down bringing to her the mental peace. Hence sindoor having mercury in it works as a therapeutic medicine to deal with the pressures of new life by keeping the mind calm composed and poised. ARE YOU FOLLOWING YOUR HEART OR HEAD? There are two ways of living your life, either to follow your heart or head. The important question for you is to find out whether you are listening to your heart and intuition or just doing what your head says. Head is always practical and it is driven by a fear that your safety is of utmost importance. It will suggest you ways through which you will be able to get money which you want or job security and predictability in your actions. It will caution you with fear whenever you try to tread an unconventional path. Head will always thwart you by bringing out fears from your memories and past experiences to prove to you that you should not ever think of following your heart desire and what you love to do. Your heart on the other hand will motivate you to follow an unconventional path which may involve taking certain risks and fear of failure is very high. Following your heart may not guarantee initial success and it is also possible that it may involve initial failures and criticism for you also but when you follow the heart you will feel that you have a sense of satisfaction and peace as you are listening to your inner voice. Life in my opinion has a real meaning when you are living it with your heart. Success or failure do not matter as long as you are connected with your heart but when you excessively live a life listening to your head, you will feel that there is utter confusion, dissatisfaction, frustration and loss of meaning. There are many people who came to me for astrological consultation who are frustrated from their life, their job, people at work, family etc. They do not recognize one thing that they have given so many years listening to their head for living their life and what they have got is a life of misery, frustration and dissatisfaction. They may have attained some successes in past also but when you live through the head, it do not recognize such successes because the basic function of mind is to push you towards more and do not let you enjoy what you have. Mind always remains satisfied. Satisfaction is the death of mind. Heart on the other side tends to remain satisfied and feel graceful for whatever it gets. Even if your dreams fail, you will feel proud that you gave it your all to accomplish them. Dreamers fail every now and then, but they also learn more in life. You will also learn from such failures. Do you know that Steve Jobs who started Apple was fired from Apple - the company he started from scratch? At the age of 30, he was fired by the board of directors and it was devastating for him. He however does not lose faith because he loved what he did. He listened to his heart and he shared his success in his own words. He said, "Sometimes life hits you in the head with a brick. Do not lose faith. I am convinced that the only thing that kept me going was that I loved what I did. You have got to find what you love. And that is as true for your work as it is for your lovers. Your work is going to fill a large part of your life, and the only way to be truly satisfied is to do what you believe is great work. And the only way to do great work is to love what you do. If you have not found it yet, keep looking. Do not settle. As with all matters of the heart, you will know when you find it. And, like any great relationship, it just gets better and better as the years roll on. So keep looking until you find it. Do not settle". I would also advice you to take some time to be honest with yourself and go deep inside your heart and find out what you want from your life. Ask yourself what you love to do and listen to your heart. It is possible that your heart may have different feeling as compared to what you are doing in present. Have the courage so that you are able to follow your heart and intuition. Connect with your heart and do not just daydream. Initiate changes in your life by listening to your heart. Do a job or business in which you have an interest and then only you will be able to enjoy it. It is possible that you may encounter some failure initially but you will learn from it and it will make you a better person in the future. Have you ever thought the reason why some people are able to achieve success working in the same scenario while others are not able to meet even both ends? You might have heard many stories of entrepreneurs and business tycoons that have achieved success even after starting the business from scratch, without any support or even after seeing initial failures. What could be the reason that makes them working hard for achieving their dreams? Some people say that they have good luck or good stars in their horoscope or they may be facing good dasha in their lifespan etc. I agree that luck plays an important role in the life of an individual but it is also true that “Fortune always favors the brave”. The most remarkable feature of most of the entrepreneurs and successful people is that they have the patience to wait for the results to come. They have confidence in their own ability to turn things around and then luck also favors them with positive results. They remain focused on their goals and above all they learn from their mistakes and remain open for future opportunities. This article will be read by thousands of people but the real change would come only in the life of few people who have the courage to try something new and innovative and also have the patience to wait for the results. This article is not for the people who think they know everything as they have closed their mind for new ideas and inspiration. This article is for people who want to do something big in their life. This article would boost their morale and bring positive attitude in their thinking style. Remember one thing – “If you do not want to motivate yourself, no one will be able to do it for you”. In this article, I would like to discuss a true and inspirational story which many people may not be aware of. This is the story of Mr. Ratan Tata who is currently the philanthropist and chairman emeritus of Tata Sons. He was the chairman of Tata Group, a Mumbai-based global business conglomerate from 1991 till 2012, and continues to head its charitable trusts. In the year 1998, he introduced first passenger car in the Indian market as Tata Indica. The car was not a commercial success and there was stiff competition from other car makers like Maruti, Hyundai etc. The poor response had driven Tata Motors to sell the car business within a year of its debut in 1998 and Ford Motor showed interest in purchasing Tata Motors. Ford officials visited head office of Tata in Mumbai and post this visit, Ratan Tata and some of the top executives visited Ford for further discussions. While the meeting went on for nearly three hours, they discussed the sell-off with Ford officials but were meted out humiliating treatment. Ford officials told Ratan Tata, “If you do not know anything, why did you start the passenger car division at all. It will be a favor from our side by buying car division from you.” Ratan Tata decided to return the same evening and while travelling, he was very tense as he felt very insulting. The talks to sell Tata Motors were not carried out further and Ratan Tata put his best in reviving Tata Motors. Nine years after the ‘humiliation’, the clock turned a full circle and the salt-to-software conglomerate humbled the mighty Ford — which was on the verge of bankruptcy after the 2008 global financial meltdown. Tata Group showed interest in buying their luxury car brand Jaguar-Land Rover and bought it for whooping $2.3 billion US dollar, which amounted to Rs. 9300 crores in Indian Rupees at that time. In the meeting, Ford chairman Bill Ford thanked Tata, saying ‘you are doing us a big favor by buying Jaguar-Land Rover’. Today JLR brand is owned by Tata Motors. The bottom line of this story is that “Nothing is impossible if you dare to dream”. I would urge you to be positive and remain open to new opportunities. Take calculated risks and you will achieve what you desire. The advantage of astrological consultation also lies in counseling the client to be positive especially when he is suffering from unfavorable dasha because clock will turn a full circle. Your time would not remain unfavorable for whole life. Wait for clock to turn and definitely your favorable dasha or time would come. Once I was delivering a lecture in a seminar where I quoted this story and one of the participants asked me, “Sir what would be the scenario if Ratan Tata have failed in his venture?” I replied to him that first of all continuously thinking of failure would lead us to failure because what we think we become. Secondly for me “Success lies in taking efforts, giving your work your full dedication”. It does not matter whether you succeed or fail because a hard worker gets the fruit of his labour in his efforts itself. So do not worry about what the results would be rather take efforts to do your best in the present. This is the secret of happiness. Past is dead and future is unknown. You have present in your hands. Use it to its maximum potential. My objective with these articles and post is to spread a chain of positivity and happiness around the world. So if you like reading the article, please share it and spread positivity and happiness. Remember what we give comes back to us in multiple times. If we spread positivity and happiness, universe would make it possible for us to be positive and happy. God bless all. It may appear to be contradictory that in this article I have described Om as the sound of silence. If a sound is there, there is no silence and where there is silence, there is no sound. This may appear illogical but there are many things in life which are beyond logic. You have to understand the meaning of Om as I see it to understand how I have resonated Om with the sound of silence. The syllable OM is formed by three basic sounds consisting of A, U, and M. A is the potential energy of the left channel or Ida Nadi. U is the energy of the right channel or Pingala Nadi, while M is the energy of the central channel or Sushumna Nadi. So we can use these sounds singularly to work directly on one of these channels, or we can combine them. You can practice this mantra at the beginning of your meditation to bring peace and silence inside you. Om is the eternal sound. Om is the sound which is there in the universe all the time. Om represents the Self which is the Supreme Non dual Reality. The Self is known in four states, namely, the waking state, the dream state, the deep sleep state, and the fourth state called the Turiya. All these states are represented in the three sounds of OM (A, U, M), and the silence that follows and surrounds the syllable that is manifested in the fourth state. AUM represents the three gunas or qualities inherent in the Cosmic Vibration. When we recite Om, the throat sound is A, M is the lip sound and the sound U represents the rolling forward of speech articulation which starts at the root of the tongue, continuing until it ends in the lips. Om is the sound which is present in the universe but you cannot hear it with outer ears. For this you have to become silent. It is the sound of anahat naad - soundless sound which is heard when there are no dreams, no projections and your whole lake of consciousness is still and unwavering and you become receptive to hear this sound of silence. It is important that you do not have to create this sound but rather you have to prepare yourself to hear this sound. The moment you are able to hear this eternal sound, you have entered into exploring the mysteries of universe. Another important point I would like to emphasize is that word Om is a symbol that has nothing to do with religion. That is the reason Om is not written alphabetically in any language of East because it is not a part of language. All the mystics have experienced that when they reach to the highest level of their consciousness, they are able to listen the sound of Om which is eternal and going on in the universe on a continuous basis. The true power of Om lies in the experience of Om. Reading this article can help your mind to understand the meaning of OM, but it cannot give you the experience. Chant this, by yourself, with your friends, in your community. Allow the experience of all the words above to soak into your beingness. Feel the power each syllable has as the sound vibrations move from the low abdomen, up through the solar plexus and chest all the way to the tip top of the head. Let the vibrations clear and cleanse your energy system and chakras. Visit Shani Dev temple on Saturdays and offer mustard oil. Respect your elders, be honest and do not cheat or deceive others. Wear a mala of seven beads of energized 7 Mukhi Rudraksha. It is a symbol of Mahalaxmi the goddess of wealth. The seven mukhi rudraksha is said to bless the wearer with good health and wealth and protection during Shani Sade sati and Shani Dhaiyya. You can contact our Lal Kitab Astro Centre for getting energized seven mukhi rudraksha mala. Offer water to peepal tree regularly and on Saturday evening lit a lamp of mustard oil on peepal tree. I would start this post with an excerpt from Bhagavad Gita where Lord Krishna says to Arjuna, "Among trees, I am the Ashvattha." The inference of this quote by Lord Krishna is that in trees, He is the most sacred tree (Ashvattha or Peepal tree). Ashvattha is a Sanskrit word for Peepal tree which is known as Ficus Religious in English. Krishna is believed to have died under this tree, after which the present Kali Yuga is said to have begun. It is usually huge in size. It comprises of a light grey bark that is smooth and peels in patches. Its heart-shaped leaves have long, tapering tips that make it stands out from the rest of the leaves of the other trees and the fruit is purple when ripe. In the Hindu religion, Peepal tree is highly honored and has given a lot of reverence. It is the first-known depicted tree in India, a seal discovered at Mohenjodaro, one of the cities of the Indus Valley Civilization shows Peepal tree being worshipped. During the Vedic period, its wood was used to make fire by friction. Inspite of presence of a huge literature on benefits of peepal tree, there are misconceptions among many people relating to this tree. Many people wonder why we worship peepal tree when actually we do not use its fruits or leaves or even wood in today’s context. There are many people who although continue to offer water on peepal tree and worshipping it do not have an idea about the significance of these rituals. They continue carrying out these rituals without understanding the astrological, mythological, spiritual and scientific relevance of doing it. In this post, I have made an effort to briefly give you an idea about these significances. In addition people have many myths about it and do not know the right method of worshipping peepal tree. I have suggested the right method of worshipping peepal tree which will give you immense benefits. Peepal tree is said to be related to the planet Jupiter which is also known as Brihaspati or Guru in Astrology. In Indian theology, Jupiter is considered the preceptor of the gods. In astrology, Jupiter is considered a highly benevolent planet that confers propitious results to the different zodiac signs while transiting through the different houses of the horoscope. If Jupiter is weak in your horoscope or you are getting some malefic results of planet Jupiter, you can worship Peepal tree. In Astrology, we also recommend worshipping Peepal tree for removing pitra dosha in the horoscope. Peepal is symbolic of ancestors worship during October and November in pitra paksha when earthen pitcher is hung to its branches and filled with water, milk, til and honey. It is believed that ancestors come down from the tree and accept the offerings. According to the Atharva Veda, Peepal tree is considered as benefactor of mankind by blessing barren women with children. Thus the tree is considered potent with fertility. The notorious demons called Ashvatta and Peepal were playing mischievous games with people. One of them took the form of the peepal tree to get people near and kill them. Both these demons were annihilated by Saturn or Shani which makes worshipping Peepal tree on Saturday highly auspicious. As Lord Krishna says “He is Ashvattha in trees” and is the deity of Saturn, worshipping Peepal tree helps in overcoming problems relating to planet Saturn especially in Sade saati. Peepal tree finds its mention in the Rig-Veda. According to Vedic sources its wood was used as fire vessels and as drill for producing sacred fire. As mentioned in ancient Ayurveda, Peepal is sprinkled with water accompanied by prayers for the removal of certain ills, such as throbbing of the eyes and arms, dreadful dreams, etc. The most reverent feature of Peepal tree according to Hindu mythology is that this tree is the abode of Trinity consisting of Brahma, Vishnu and Mahesh. Peepal tree is considered to embody the trinity in its roots (Brahma), in its stem (Vishnu) and in its leaves (Shiva). This tree is also called Vruksharaja or the king of trees. To cut down a peepal is considered a sin equivalent to killing a Brahmin, one of the five deadly sins or Panchapataka. According to the Skanda Purana, a person goes to hell for doing so. Maa Lakshmi visits Peepal tree every Saturday and therefore peepal tree is being worshipped especially on Saturdays to get blessings of Maa Lakshmi. The peepal is also sacred to Buddhists, because the Buddha is believed to have attained enlightenment under it. Hence it is also called the Bodhi tree or tree of enlightenment. Hindu monks still mediate below this sacred tree. Pradakshina (circumambulation) is practiced by Hindus as a mark of worship, walking around the tree in clockwise direction. Apart from religious beliefs associated with peepal tree, there are some scientific facts as well. Many people have a myth that peepal tree emit oxygen 24 hours a day but this is not true. Peepal tree however is considered to be the largest oxygen provider and it has the capability to provide oxygen for maximum hours among all trees. Researchers have also proved that the interacting flow of wind as well as the sound, with the leaves of peepal tree kills the infectious bacteria slowly. It is used extensively in Ayurveda for several other purposes. One very useful thing about its leaves is that, when heated in ghee, it can be used as a healer to cure the wounds. Decoction of its bark with honey is good for curing skin diseases. From the dried fruit of this tree a powder is prepared and dissolved in water and taken twice a week to cure the deadly disease asthma. The simplest method is to offer water to its roots regularly in the morning. It is never advisable to give water during afternoon or evening time and not on Sunday. Another way is to lit a Mustard oil lamp on Saturday evening and Desi Ghee lamp on other days in the evening time. A common mistake which every person commits while offering water to peepal tree is using copper vessel. Copper element is related to planet Sun which is inimical to Saturn. Therefore you are advised to use a steel vessel to offer water to peepal tree. You will get favor of luck, fortune and intelligence. Uninterrupted flow of income & even multiple sources of income. First of all, I would like to wish all of you a very Happy Navratras. Navratras are continuing and their real significance is that they offer opportunities to us to indulge in meditative & spiritual practices because in these days our aura is receptive and we are able to connect with universe in an easier way compared to other days. Today I would like to share with you a unique mantra which according to Lord Shiva even devatas do not know and are not able to master it. It is Siddha Kunjika Stotram which is recited before Chandi Patha or before reciting the Devi Mahatyam. It is said that just by reciting this stotram the fruits of reciting the Devi Mahatyam are obtained. Kunjika literally means anything that is overgrown and denote that change is the law of nature. Siddha means perfection. Stotram is the song. Thus this stotra is known as “Song of perfection”. Through this song you can unfold the secret of perfection. Siddha Kunjika Stotram is composed by Lord Shiva Himself and is found in the RudraYamala Tantra. Lord Shiva is a master of Tantra and He has given many techniques of meditation in Vigyan Bhairava Tantra also. While describing the importance of Kunjika Stotram to Maa Parvati, He said, "O Parvati, hear the great prayer called Kunjika, by recitation of which the recitation of Chandi Patha (Devi Mahatyam) would become more powerful& auspicious”. This stotram is so powerful that when you recite this stotra, you do not need to recite Kavacham, Argalam, Kilakam and the Rahasya Thrayam, nor it is necessary to recite Suktam, Dhyanam, Nyasa neither is a need for worship. This mantra is useful for removing all of your problems and giving you health, wealth and prosperity. It is also good for good relationship between husband and wife and removes grah kalesh. I would advise all of you to recite this mantra during any time of the day but it would give more good results if it is recited during Brahma muhurta. Each muhurta lasts 48 minutes, and therefore the Brahma muhurta begins 1 hour and 36 minutes before sunrise, and ends 48 minutes before sunrise. As sunrise in each city may differ, you can check sunrise in your city but in general the muhurta is between 4.24 a.m. to 5.12 a.m. In navratras, this mantra gives more benefits. For the benefit of all, I am giving this mantra in this post. If you cannot read this mantra or it is not possible for you to recite this mantra, you can listen this mantra on YouTube or through any other audio file with you. Many of us experience trouble sleeping at one time or another. Usually it’s due to stress, travel, illness, or other temporary interruptions to your normal routine. But if sleep problems are a regular occurrence and interfere with your daily life, you may be suffering from a sleep disorder. Sleep disorders cause more than just daytime sleepiness. They can take a serious toll on your mental and physical health, leading to memory problems, high blood pressure, weight gain, and impacting your immune system, heart health, energy levels, and mood. But you don’t have to live with this problem. 1. Firstly for having good sleep, you need to ensure that you finish your dinner atleast two to three hours before going to sleep. There are many people who finish their dinner and within five to ten minutes go for sleeping. This is very dangerous for your health. It will definitely give you problems some of which may be a heart attack, diabetes or joint pains/arthritis. To avoid these problems, you must ensure to have your dinner two to three hours before sleeping. If you analyze the sutras of Ayurveda, you would find that all the ayurvedic thinkers have advised to have dinner by sunset so that you have sufficient time to digest the food. 2. Secondly you must sleep in the right direction. I am not going to discuss various Vaastu principles in this post as it would complicate the matters for you. I would discuss the solution for you in simple language. As per Vaastu you should ensure that you sleep keeping your head in east and legs in west. It is also necessary that your sleeping posture is right. The right posture for night sleep is when you are lying down facing roof with your hands wide open. If in any case you are not able to sleep keeping your head in east side, then you can keep your head in South side with legs in North Side. Never sleep keeping your head in North side. 3. Thirdly if you feel that you are not able to sleep for long time after going to your bed, I am sharing a simple remedy for solving this problem also. You can close your right nostril with the help of your thumb and breathe using your left nostril. Breathe in and Breathe out using your left nostril for five to six minutes. It will help you in getting to sleep. Ekadashi is a wonderful opportunity for all spiritual practitioners to intensify their devotional service and come closer to Lord Vishnu. Many of my clients and students were requesting me to share my thoughts on Ekadashi for a very long time and this tithi is so unique and has so many benefits that I was not able to describe its significance in a short post. A few months ago while reading Padma Purana, I came across a quote by Rishi Vyasa addressing to Jaimini Rishi where he told him that results of following Ekadashi can only be perfectly described by the Supreme Lord that is Lord Narayana because He is only capable of describing its benefits in full. This reminded me that as humans we have many limitations due to which it is not possible to describe physical, religious, spiritual and moral significance of this unique tithi. Still I have tried to share my views on this unique tithi in brief so that more and more people can understand its significance and they are motivated to keep at least a partial fast to get the blessings of Lord Hari. Ekadashi is a Sanskrit word, which means Eleventh. It refers to the eleventh day of a fortnight in a lunar month. There are two fortnights in a lunar month, the bright and the dark or commonly known as Shukla Paksha and Krishna Paksha. So, Ekadashi occurs twice in a month, in the bright fortnight and the dark fortnight. There are 24 Ekadashis in a year. It is an important fasting day dedicated to Lord Vishnu. Ekadashi is a tithi which is dear to Lord Vishnu and it is an opportunity to get His blessings. The story of Ekadashi traces its origin in Satya-Yuga where a demon called Mura lived and he terrified all devatas and on their request, Lord Vishnu decided to fight with him. The Lord wrested with Mura for one thousand celestial years and then, apparently fatigued, left for Badarika Ashram. There He entered a very beautiful cave, named Himavati, to rest. The demon followed Him into the cave, and, seeing Him asleep, started thinking within his heart: "Today I will kill this slayer of all demons". While the wicked demon Mura was making plans in this way, from Lord Vishnu body there manifested a young girl who had a very bright complexion. Mura saw that she was equipped with various brilliant weapons and that effulgent goddess shattered all of Mura weapons and in a moment deprived him of his chariot. He ran toward her to attack her with his bare hands, but when she saw him coming she angrily cut off his head. Then the Supreme Lord woke up and saw the dead demon before Him, as well as the maiden bowing down to Him with joined palms. The Lord, being pleased with the girl, offered to give her a boon. The girl requested Lord Vishnu to give her the power to free a person from his or her sins who fasts on this day, i.e. Ekadashi. Lord Vishnu said that because you, my transcendental potency, have appeared on the eleventh day let your name be “Ekadashi”. If a person fasts on Ekadashi, I will burn up all his sins and bestow upon him my transcendental abode, i.e. Vishnu Lok. Ekadashi Vrat has many benefits. In this context, I would like to quote a translation of Ekadashi shloka which means, “There is no mantra superior to the Gayatri mantra. There is no God superior to the mother, there is no water purifying or superior than River Ganges and there is no vrat or austerity or fast, holy or superior than the Ekadashi”. In my view when Lord Vishnu blesses you with His divine grace, you get a chance to keep Ekadashi vrat. Ekadashi fasting is greater in merit than staying and visiting places of pilgrimage, performing fire sacrifices or ashwamedha sacrifice. Single Ekadashi fast earns the same merit as the one who feeds 1000 mendicants every day for 60,000 years. It gives ten times merit in comparison to a person giving away in charity 1000 cows to a learned brahmin. Ekadashi fasting is believed to liberate one from the cycle of births and deaths. Those who fast on this day gets the blessings of religious bent of mind, wealth and ultimate salvation. In the above discussion I have dealt with some of the benefits of keeping Ekadashi fast and worshipping Lord Vishnu. It is not only a matter of spiritual or religious importance to observe Ekadashi but this fast has the backing of science also. I would deal with advantages of keeping Ekadashi vrat on a physical, mental and spiritual level. Ekadashi Vrat and its benefits on Physical level: The first advantage of keeping Ekadashi fast on a physical level is that we give our digestive system a day of rest to recover and perform its functions in a better manner. Not only that the undigested food material gets proper opportunity for its further digestion, but also by fasting the digestion power increases, better assimilation of food takes place helping in more production of blood and other necessary chemicals, and thereby helping better health and better nutritional effects. It is both a good measure for avoiding the future stomach problems and a cure for a number of ailments. It helps in better functioning of the liver, pancreas, intestines and kidney thereby reducing the chance of any ailment relating to these organs. Ekadashi Vrat and its benefits on Material level: Ekadashi Vrat also gives benefits on material level by increasing your wealth, business and savings also. Although I would not advise you to keep this fast for material level but still whether you keep this fast for material things or not, you would definitely see an increase in your wealth, savings, business through regularly keeping this vrat and worshipping Lord Vishnu. The reason for this is that when you worship Lord Vishnu on this day, Bhagwan gives His blessings to you and Maa Lakshmi who is the divine consort of Lord Vishnu stays only at a place where Lord Vishnu resides. If Lord Vishnu is with you, then you will see blessings of Maa lakshmi will also be on you. So on Ekadashi day worship Lord Vishnu and Maa Lakshmi and you will see an increase in your finances also. Ekadashi Vrat and its benefits on Mental level: All of us know that a human being is built of 80 per cent liquid and 20 per cent solid. The water content in our body is approximately 80 per cent. Scientists have discovered that there is high tide on new moon and full moon days and low tide on the seventh day of the lunar cycle. This is lunar attraction on the liquid of the earth. The earth and the moon attract each other but on certain days the attraction is more because of their nearness. It is this attraction that causes tides in the ocean and it is certain that there will be biological high tide and low tide too, governed by the moon. The gravitational force of the moon exerts its influence on the water in the human body as it does in the case of the oceans of the planet. There are many researches that vouch to the fact that there are tidal days when the moon comes close to the earth and people having weak mind or weak body suffer more. In many studies, it has been found that symptoms of depression, restlessness, insomnia and rapid heartbeat increase during extreme tidal days. Ekadashi fast has varied effects on the body and the mind to counter negative effects. The first and foremost impact is keeping the balance of hormones and other secretions in relation to the glands and cells. As there will be no food and less water in the stomach on these fasting days, the linear attraction will not affect the intestine, kidney and liver. Further, the tendency of the functioning of most of the forces of the body will be centripetal, i.e. towards the inner side of the body. So, the internal gravitational pull will be more powerful to balance the external pull of the lunar gravitational force. This will help in controlled functioning of all the organs, chemical changes, growth of cells and other biological transmutations. If functioning be normal and balanced, there will hardly be health problem and the longevity will get enhanced many folds. Ekadashi day falls in between seventh and fifteenth day of lunar cycle and fast on this day helps in balancing the effect of lunar attraction. People who have a weak moon may be able to get relief by such systematic fasts and many abnormalities of mind are also reduced. Even hypertension can be controlled efficiently with the help of Ekadashi fast. Ekadashi Vrat and its benefits on Spiritual level: On a spiritual level, on Ekadashi day you will be indulged in worship of Narayana. Lord Krishna who is an avatar of Lord Vishnu says in Bhagvad Gita, “People who remember me, worship me, have trust in me, I always protect them”. When you worship and remember Lord Hari, then He will take care of all your problems. Leave everything on Him. Planets have an impact on you until you are away from the force that has created those planets. When you are under the protection of Supreme force that has created planets, then all your worries will be removed by Him. The food that can be consumed on the Ekadashi day includes fresh and dried fruits, milk products, vegetables and nuts. Avoid pulses, rice and grains on Ekadashi. Drink lots of water and eat fresh and dried fruits. Many devotees due to several reasons like health and job commitments observe partial fast on the day. Such people should avoid non-vegetarian and food items made from beans, pulses and grains, especially rice. The most preferred Ekadashi fasting food in western parts of India is Sabudana Khichadi with potatoes and ground nut but no onion and garlic. If due to any health reason or any other problem, you are not able to keep Ekadashi full or partial fast, I would suggest you to worship Lord Vishnu with full devotion and pray Him for giving you strength to keep this fast. The whole purpose of fast or known as “Upvaas” is meant to bring you near to God. So do not worry more about rules, regulations, rituals, expected benefits from fast. Rather spend Ekadashi day in worshipping Lord Vishnu. Chant the following mantra as much as possible. As a spiritual healer, the term black magic is not new for me as it is common for a spiritual healer to deal with spells of black magic in day to day life. Energy is neutral and one can use this energy for positive as well as negative activities. Black magic involves manipulation of energy for harming others. The same energy may be used for the up-liftment of oneself but some persons who are jealous of others or think negative of others feel pleasure in harming others. Many a times you might have experienced sudden deaths in a family, sudden deterioration in health and no effects of any treatment on health, inability to save any money despite earning good money, bad luck, insanity, sudden losses in business & extreme financial crisis due to no apparent reason, sudden relationship problems between husband and wife leading to divorce etc. They may be result of black magic. Black magic is known all over the world although it may have different terms to describe it like magic spells, spells, hex, sorcery, jadoo, jadu, sihr, witchcraft, voodoo, and curses. Black magic is used for evil purposes by invoking the power of evil spirits and even the devil itself. Black magic originated in the spirit world. If someone has mastered the art of black magic, they are able to perform sorcery. These black magicians follow an intricate system of sorcery for several weeks or even months. During these periods, they invoke the spirits from the other world by performing rituals and sometimes even doing animal or human sacrifices to bind their spells with the spirit world. After using these techniques, they are in touch with those evil spirits. Sometimes they are even able to command these spirits as they wish. Black magic can only be removed by imposing a lot of positive energies to the affected person so that the negativity created by worship of Demon, Devil or evil spirits move away by getting fear of positive energies. In this context, an experienced spiritual healer can suggest you remedies for removing black magic either through doing some remedies, chanting specific mantras, wearing rudraksha or using Talismans and installing yantra in your house. Please note that person who does black magic suffers three times more than the person who is afflicted with black magic. So do not ever indulge in such practices as it will ultimately harm you. There are many ways black magic spells are done but the most common is making the victim eat or drink food or beverage that has been previously bound with black magic. Photographs of the victim can be used to invoke a black magic curse. If a black magician obtains a photo of you or something you own or possess–for instance a piece of clothing, a piece of your hair or any jewelry worn by you. These items could be used against you to do black magic. Some black magicians can even create a liquid spell which may be spilled over a piece of land or an object to create a black magic curse. You might have seen some lime or turmeric and rice on banana leaf, deepak at cross roads or any other strange looking materials. Stay away from them and do not cross over them. Give the smoke of guggul or loban every evening in your home. They are powerful mosquito and insect repellents and they are very effective in removing the negative influence of black magic or spirits. Do good to others. Do not think bad about others. If you do good, God will give you the ability to save yourself also. If you are stuck, someone will come and give you good advice due to which you will be able to overcome the problem. Black magic exists in different forms and its remedies are also different. So, there is no single remedy to remove it. It is important to understand what kind of black magic it is and then only you can remove it completely. You will have to seek expert help in this regard. Unfortunately, there are a very few honest people who really have powers to heal others. Most of them are frauds. But you will have to look for one, do some trial and error, there is no other way. I am giving you two remedies, which would certainly help you. In the coming posts, I would also share some mantras to remove black magic. First of all you need to wear an energized Ten faced Rudraksha. This rudraksha has the powers to remove black magic and curse of evil eye. Please note that when you are wearing this rudraksha it needs to be energized specifically for removing black magic. So never wear rudraksha without getting it energized. Put a small bundle of spinach (leaves of palak) below your pillow or near the head side of your bed at bedtime in the night of Tuesday and feed them to a cow, in the next morning on Wednesday. It should be repeated for at least seven Wednesdays. Remedies for black magic need to be advised after careful analysis of horoscope also. You can book a specific consultation for a problem so that remedies on the basis of prevailing symptoms and impact could be advised. Why Lord Krishna is called as Banke Bihari? Krishna, the god with as many names as the people who adore Him, is also known as Banke Bihari. But have you ever wondered why Kanha is called by that name In this post I would discuss the story behind the name of Shree Banke Bihari Ji and would also tell you some of the exceptional facts about the Banke Bihari temple in Vrindavan. Banke Bihari Temple is the prime attraction and the highly revered shrine of Vrindavan. In Uttar Pradesh Vrindavan is a small town that is celebrated for this holy shrine of Lord Krishna. The present temple was built by Swami Haridas in 1864. Here Lord Krishna is observed in his phase of childhood. The services offered to the Lord are made in such style as if nurturing a small child. In the phrase Banke Bihari the term Banke suggests bent at three places and Bihari refers the Supreme enjoyer. Krishna is regarded as the Supreme Enjoyer as he knew how to find rasa in every aspect of life. He is dedicated to living the moment in Present and that is why He is the benefactor of bliss and pleasure. Yet another interpretation exists that Banke Bihari is a colloquial pronunciation of Van Ke Vihari or the one who dwells in the jungle as Krishna was known to do during his childhood pastimes with the cowherds and the gopis. Lord Banke Bihari is also known as Thakurji the owner of everything. The black wooden idol of Banke Bihariji was brought in this temple from Nidhivan by Swami Haridas. The image of Bihariji installed in the Shri Banke Bihari Mandir is the one granted to Swami Haridas by the celestial couple Shyama Shyam themselves. Submitting to the desire of devotees the Lord appeared in person with his divine consort and left back a black charming image before disappearing. The idol of Banke Bihari ji consisting of Radha Krishna has been merged into one on the request of Swami Haridas as he wanted to see both of them in one idol. The services made to the idol of Banke Bihari Ji in the temple are regarded as the sewa of the deity. At that time Swami Haridas tendered the sewa of Bihariji to Goswami Jagannath. Ever since the sewa of Bihariji is performed by the descendants of Goswami.